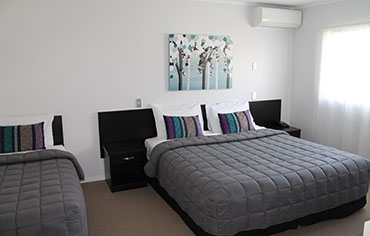 Aquarius Motor Inn, in beautiful Mt Maunganui, New Zealand, is the perfect place to relax and enjoy the sights and attractions that the Mount has to offer. 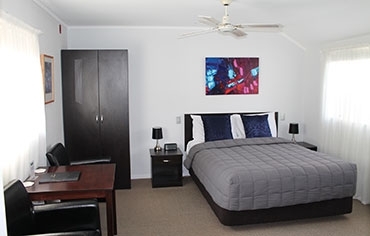 Located a short walking distance of the town with its vibrant cafés, bars and restaurants, Aquarius Motor Inn is in a quiet area of the Mount and is the ideal 'base' to explore the area. Whether it's the glorious stretch of white sandy beaches, the bustling harbour with its many visiting cruise liners, the fantastic hot saltwater pools, or the Mount itself, we are within close proximity of all the major attractions. 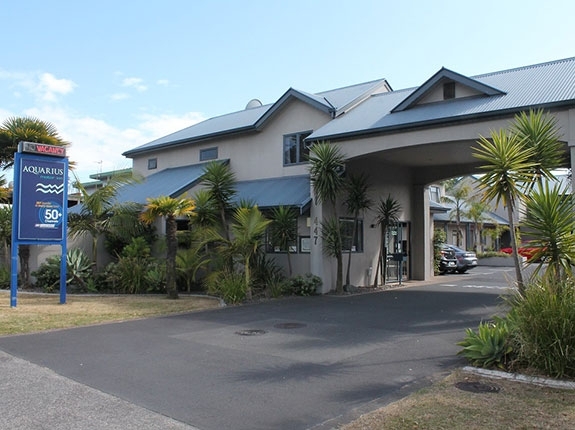 Aquarius Motor Inn is situated about midway along Maunganui Road within walking distance of the Mount beach, cafés, restaurants, shops, RSA and Club Mount Maunganui (incorporating the Cosmopolitan Club, Bowling Club and Croquet Club). We are adjacent to Blake Park and The Bay Oval cricket ground, most of the Mount's major sports grounds and facilities. 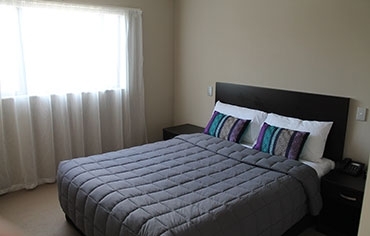 Bayfair shopping mall, Baypark and ASB Arena are a 5-minute drive away. You're right in the heart of the action. 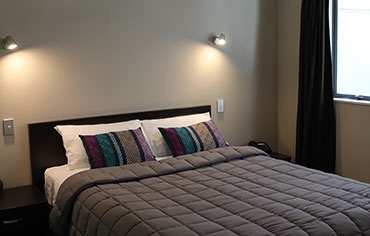 Aquarius Motor Inn offers modern, superior studios, 1 and 2-bedroom suites. All of our 16 rooms are air-conditioned and are superbly appointed, with plenty of space and comfort to unwind. Each suite or room has its own SKY decoder (50+ channels) with large flat screen TVs. Our larger suites have a second TV in the main bedroom with Freeview channels and all our suites have, unlimited FREE Wi-Fi. CALL US DIRECT ON 07 5723120 FOR GUARANTEED BEST RATES. 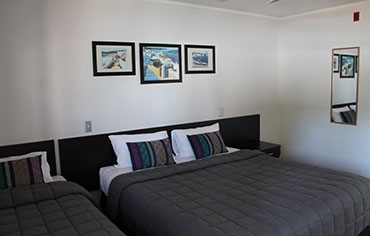 Aquarius Motor Inn has great service and facilities including a swimming pool, private spa pool, SKY Guest Select (50+ SKY channels), and FREE, unlimited, wireless internet. The Aquarius is the perfect accommodation for corporate stays, romantic interludes, and family holidays. We also have an excellent setup for sports, school teams and larger groups. Guests can select from delightful Corporate Studios, Large Studios, 1-Bedroom, Deluxe 1-Bedroom, and 2-Bedroom Suites. All our rooms are tastefully furnished, with large flatscreen TVs, kitchenettes with modern appliances, en-suite bathrooms with complimentary toiletries, comfortable beds and crisp, fresh linen. 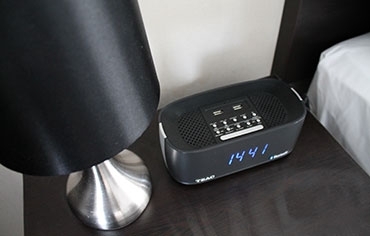 We work hard to ensure all our guests have a comfortable and enjoyable stay with us and you can be confident that, in the unlikely event anything should go wrong, we will make sure we resolve any issues quickly and professionally. 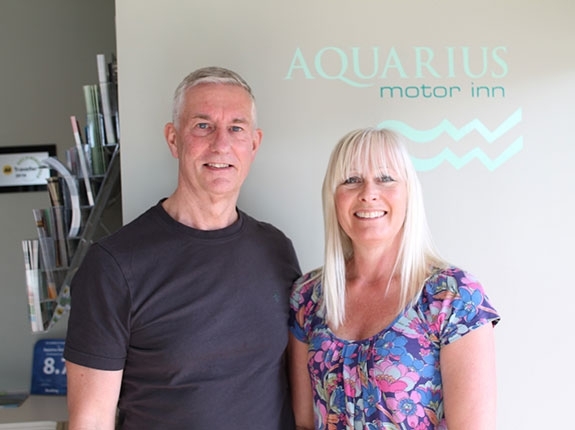 We extend a warm welcome to all our guests at Aquarius Motor Inn. Check in, relax and enjoy your stay with us.